What you do to prepare for the end of your life is, in some ways, as important as what you do throughout your life. Leaving your family is certainly hard enough, but leaving them without direction or having to deal with unassigned assets or debts can be distressing and potentially harmful for them financially. You might have a will, but if you have more than a couple of personal items you’d like to pass on, a will really doesn’t do what you need, especially for a business owner. You will require a detailed plan for your estate and what you are leaving to your loved ones to be in place long before they are needed. In this way, you are doing the greatest service imaginable for your family. You are providing security and protection for them when you are no longer able to do it yourself. When you have determined that you need an estate plan, you then have to find an estate planning attorney to get everything in legal order. Without everything being filed with the court and county or state, you aren’t really accomplishing anything. So an estate planning attorney is critical and figuring out how to choose an estate planning attorney is the next logical step. One of the first things you want to consider is whether or not estate planning, wills, and probate are the attorney’s focus – you want to know if it is all he or she does. This is important from the perspective of specialty law. There are so many facets to the practice of law, that if an attorney does a little bit of everything they will not be expert in anything. That doesn’t work for estate planning. There are too many intricate rules and layers – you need someone who focuses solely on estate law. You might need to consider location. Getting an attorney out of your own area might be ok, but then again laws for probate and estates differ from county to county and state to state. A Florida estate planning attorney is going to have a completely different focus and level of expertise than a Ohio estate planning lawyer will. The states’ laws are very different, so consider choosing local. Find out how detailed they are by observing the first consultation – are they pulling out a old form that is generic, or are they working up an individual client worksheet with detailed information? You want the latter – not only for the detail orientation, but also because it shows they have a sole focus. You want to know what their fees are up front. It won’t be realistic to get a fee prior to the first couple of appointments because they have to see how complex the job is, but a ballpark is perfectly fine to start with. The point being there shouldn’t be anything hidden from you. The estate planning attorney Palm Beach Gardens, Florida residents turn to the most is Mark J. Nowicki, P.A. He has a handle on what Palm Beach Gardens and the surrounding area needs for estate planning. You can contact him at 561-746-9200, email at www.nowickilaw.com, or go by the office at 480 Maplewood Drive, Suite 2, Jupiter, Florida 33458. Dealing with the IRS in any circumstance can be a stressful thing, especially when you owe them a sum of money that you simply do not have or can’t afford to give up. IRS tax debt can be especially scary since most people only accumulate this debt after not paying the IRS at all what they owe them. Therein lies the first mistake that people tend to make when deciding how to go about paying the IRS: choosing not to pay at all rather than paying at least what they can afford. But if you’re reading this you’re probably not looking to hear about what you could have done differently to avoid your debt. You’re looking for how to go about fighting off the IRS before they do something like levy your assets or take other serious action against you. The answer to your concern lies in good representation of your interests- those interests being paying back the IRS in a way that you can manage and afford. 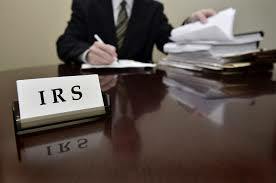 IRS tax debt relief is best managed by a firm like Nowicki Law. Mark J. Nowicki, P.A., a Palm Beach Gardens, Florida tax attorney, knows how to navigate the complex channels of the IRS and reach a settlement that is in your favor. In most cases, a firm like Nowicki Law will go about creating an offer in compromise (OIC) between you and the IRS. An OIC is exactly what it sounds like: it is an offer by the IRS to allow you to pay less than you actually owe. Of course, you will still eventually have to pay your full amount owed. But rather than paying that amount all at once when you simply can’t afford to, you can essentially compromise with the IRS and pay a smaller amount as a lump sum and then proceed to pay off the rest in installments. However, before an OIC can be settled upon, the taxpayer has to be assessed. The IRS may make an OIC to the taxpayer in question if they are found to simply not have the necessary funds to cover their debts, for example. If you believe you owe less than the IRS says you do, you may also receive an OIC. Finally, the IRS will accept a lower lump sum payment if the full payment would cause hardship to the taxpayer. The most important thing to remember in all of this is that when you have the proper representation, the IRS will be willing to work with you to settle your debts, not against you as so many people tend to believe. 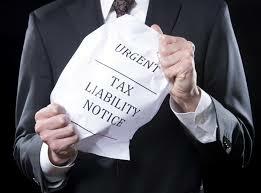 Going at it without a tax firm like Nowicki Law to back you up, however, simply is not worth the trouble. Don’t let those letters from the IRS sit unresolved; invest in the help of a firm like Nowicki Law and take care of your tax debt before it becomes too big to handle. Mark J. Nowicki, a tax attorney in Palm Beach Gardens, Florida is waiting for your call and willing to help you get relief. Take action against your tax debt today! Most people believe that the only people that need wills are those that have tremendous wealth or a large number of assets that need to be divided among heirs. However, this couldn’t be any further from the truth. The truth is that no matter how much or how little you have, having a will is the only way to ensure that your wishes will be carried out after your death. It’s important to be prepared if you die without a will. Here are a few reasons why you need to have a will. 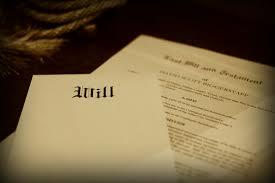 When you die intestate, or without a will, your state will decide how your assets will be distributed. They use a process known as probate and follow a standardized format for handling deaths where there are no wills available. This default distribution process may not distribute your assets in a manner than you wish. If you pass away intestate as a single person who does not have children, you have the least to worry about when it comes to how your assets are being distributed. That is, unless there is a specific person or persons you wish to leave something to. For example, let’s say that you die without a will but wanted to leave money to help a friend put her child through college. Under normal intestate proceedings, your assets will most likely be distributed to your siblings and then your parents. Unless these individuals pass the money to your friend and/or her child, odds are they won’t be the beneficiary of your generosity, even if the recipients know about your wishes. Let’s just say that you are single and do have children that you want to leave your assets to, but fail to create a will before you die. In most cases, your assets will be divided equally between your surviving children. However, if you intended to leave one child more because he or she was supporting a family while the other(s) aren’t, without a will it won’t happen. If you pass away intestate and you have a spouse, things get a little trickier. Your spouse isn’t automatically entitled to all of your assets. 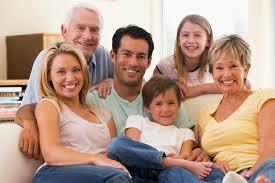 In fact, there are a large number of states that divide your assets between your spouse and your parents. If your parents are deceased, their portion will be distributed to your siblings. And this assumes that you don’t have children. If you do have children, they will generally receive your parents’ portion. At the end of the day, the only way to ensure that your affairs are handled the way you want them to be is to have a will. Call Mark J. Nowicki, P.A. today for any questions you may have on Wills, Trusts & Estate Planning 561-746-9200.